“I’m not usually this busy,” says Aaron McIntosh when I finally track him down at Baltimore’s School 33 Art Center. In the process of setting up the first public showing of his Invasive Queer Kudzu project, he’s been hard to pin down. 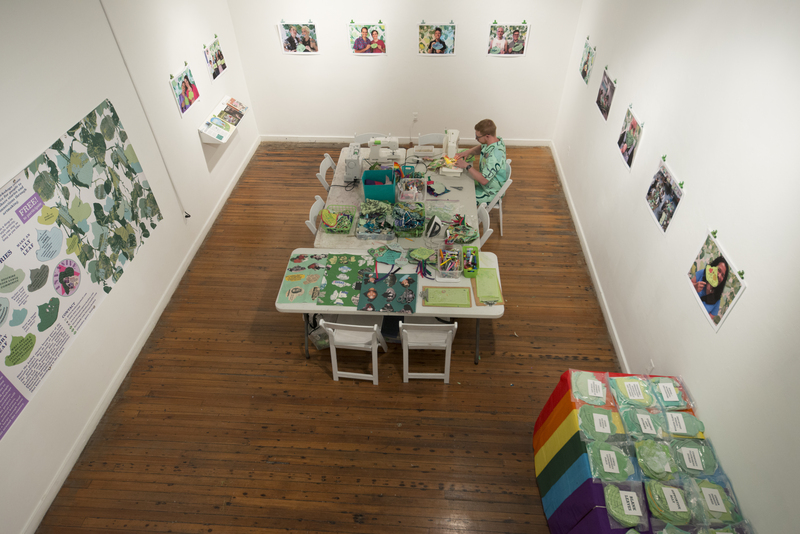 It’s no surprise — the multi-layered installation of cloth leaves sewn together into quilts designed to look like kudzu vines is the culmination of three years’ work for McIntosh, an artist and professor in the Craft and Material Studies Department of VCU’s School Of The Arts, and he wants it to be perfect. The article originally appeared in RVA #33 Summer 2018, you can check out the issue here, or pick it up around Richmond now. To bring the project to fruition, McIntosh has spent the last three years crisscrossing the South; facilitating workshops, collecting stories from LGBTQ archives, and setting up booths at Pride festivals in cities all over the region. 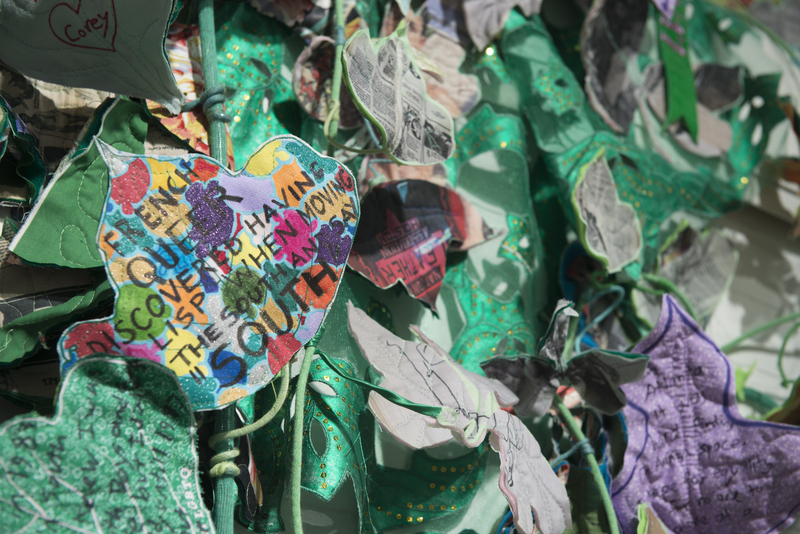 He has collected thousands of stories, in the form of kudzu leaves — enough to create a huge quilt of kudzu vines. Now that McIntosh, with essential help from volunteers, has assembled the many different contributions into vines, he’s taking the project’s public installations to the next level. 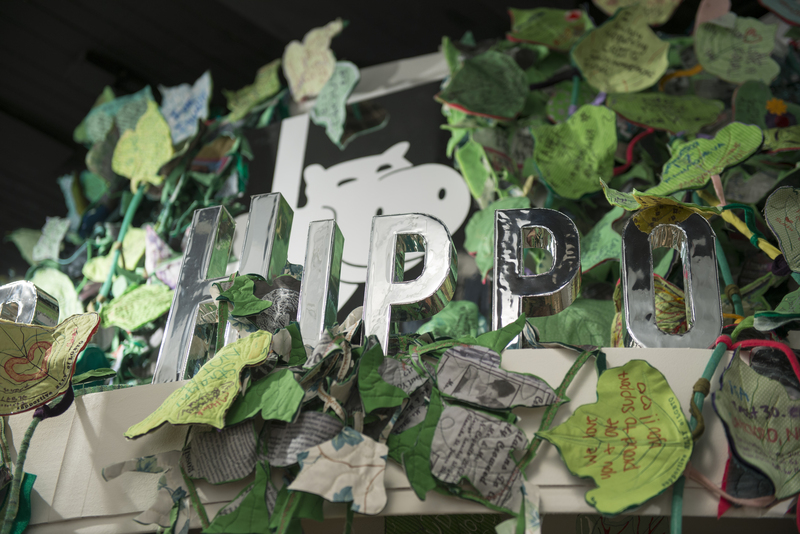 For Invasive Queer Kudzu’s first appearance in Baltimore, McIntosh and volunteers assembled a nearly full-scale replica of Club Hippo — a now-defunct gay bar that opened in Baltimore in the late 70s — right in the middle of the gallery. “It’s built as a monument in memoriam to itself,” McIntosh says.